We provide a suite of Intellectual Property, Algorithms and Engineering services to achieve mobile autonomy, advanced 3D perception and situation awareness. Based in Paris, the company was created in 2015 by Raul Bravo and Olivier Garcia in order to extend to new application fields the result of 15 years of world-class know-how and field experience working on GPS-denied and infrastructure-less navigation. The Dibotics’ technology is used as a core component of some of the most advanced products and companies in mobile robotics, operating in both indoor and outdoor environments. Raul Bravo is a serial entrepreneur & start-up coach, with an extensive background in both bootstrapped & VC-backed start-up creation and growth. Telecommunications Engineer from UPC (Barcelona, Spain) with an MBA from College des Ingénieurs (Paris, France), he’s obtained 12 different awards for his engineering and entrepreneur career, among them the «MIT Technology Review – Innovators Under 35». Olivier Garcia is one of the most internationally renowned mobile robotics experts in the field of Localization and Navigation. Industrial Engineer from UPC (Barcelona, Spain) with a Robotics Master’s Degree from Pierre et Marie Curie University (Paris, France), he has gained an extensive expertise and developed technology in different applications fields as 3D Mapping, Logistics, Defense & Security, Autonomous Car and Automated Passengers Vehicles. We’ve developed and field-validated a unique 6 Degree of Freedom Sensor-Agnostic Localization technology, relying exclusively on the data originated from a single sensor: no odometry, IMU or multi-sensor fusion are needed. Thanks to our Sensor-agnostic approach, we can provide a solution based on a wide range of sensors (Lidar, 3D Cameras, Sonar/Radar, etc.) depending on the application and customer needs. Our unique advanced 3D SLAM (6 DoF) technology provides an accurate real-time position over long distances without drift. A single sensor and infrastructure-free algorithm that delivers cheaper and simpler solutions. Our perception algorithms integrate the data from the sensor over time, in order to build a 3D rich model of the environment that can then be analyzed in search of information of interest for the task at hand. Field-proven navigation and control solution, which has been validated in real-world Outdoor and Indoor environments and multiple application fields. Over the last 15 years, we’ve applied our technology to a wide range of application fields in several industry segments all over the world, to achieve fully autonomous function, perception-enriched tele-operation or 3D modelization. 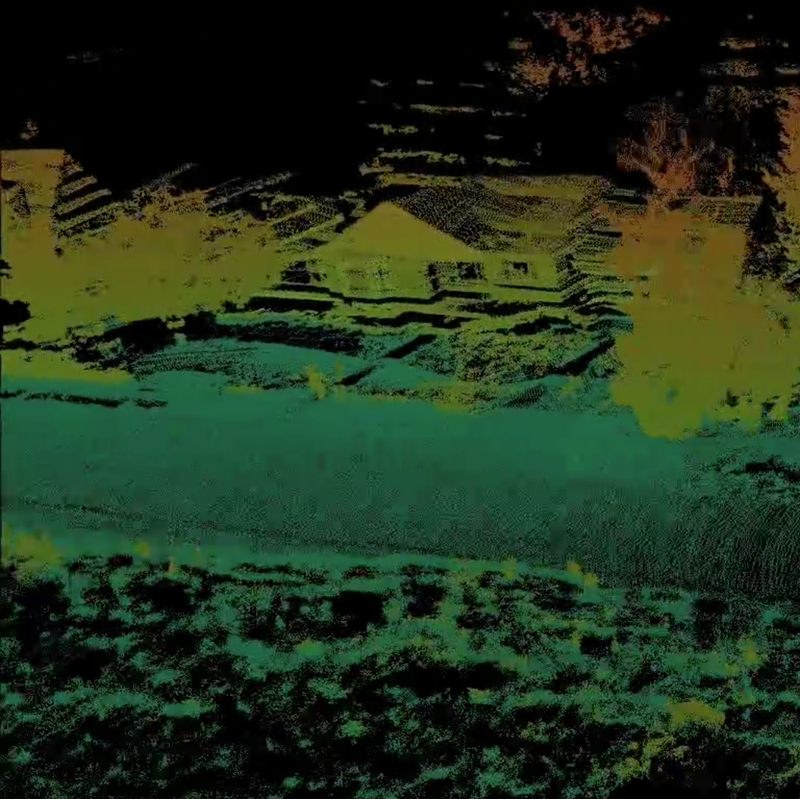 This video shows the difference between using the Raw data from a 3D Velodyne Lidar and slamming this information over time using the real-time Dibotics 3D SLAM. San Jose, California, 3D city mapping. The Velodyne Lidar sensor has been setup with a 40 degrees inclination allowing for a higher scan field. The 3D Slam from Dibotics is able to work with this highly demanding setup. High speed Autonomous Car driving example, using a single Velodyne Lidar sensor. The leading vehicle creates a real-time map, shared wirelessly with its followers. 3D slam algorithms of Dibotics allow the other vehicles to localize in the same reference and improve the map in real-time. The trucks can follow the leader without direct line-of-sight. No GPS, No IMU were used. 3D SLAM in Agriculture fields, localization alongside trees. Localization and Perception in Agricultural fields using a VLP-16 Velodyne Lidar mounted on top of an all-terrain vehicle. Surveillance and observation of ships and boats at port using advanced SLAM algorithms for perception, with a full panoramic view during night and day. Autonomous UAV, 3D Mapping without drift, using a Drone and a Velodyne Lidar with Dibotics 6DOF Slam algorithms in an Urban environment. Thanks to a close collaboration between Dibotics and XactSense (www.xactSense.com). Airborne security using a Drone and Lidar thanks to Localization and Perception with 6 DOF SLAM. Thanks to a close collaboration between Dibotics and XactSense (www.xactSense.com). A second example of robust Outdoor Localization in Agricultural Fields using our 6 Degrees of Freedom SLAM algorithm and a Velodyne multi-layer Lidar, without any additional sensor. This video shows a short indoor sequence of a FOTONIC E70 TOF camera slammed with 6DOF. No other sensor was used. Another example of SLAM based 3D superresolution with a FOTONIC camera. The algorithms, in this case, are used to localize the sensor position: thanks to the 6DOF perception algorithms, the acquired data is integrated to provide a higher definition 3D model. Using a FOTONIC ToF camera to SLAM on the ceiling of a Warehouse, using no additional sensor or odometry. Autonomous Car using a single Lidar sensor, no IMU and no GPS were used. The 6DOF Algorithm slams using the only data acquired from the fields surrounding the car. Autonomous Shuttle for Outdoor people transportation, using a single multi-Layer Sensor. 3D Scanning of a Dock from a boat using our SLAM Localization and Perception algorithms. 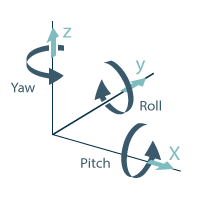 The Dibotics unique algorithms overlook the movement of the waves in the water. Inspection of bridge infrastructure using a Drone and a Lidar. Thanks to a close collaboration between Dibotics and XactSense (www.xactSense.com). We work exclusively with OEM’s through long-term licensing and knowledge transfer agreements, helping them to enhance their current tele-operation capabilities and to develop advancements in vehicle automation and 3D Perception.